Quality on the go! Professionally present and protect your jewelry line with this lightweight soft carrying case. Transport your jewelry sample trays in a practical, sturdy and economical way. 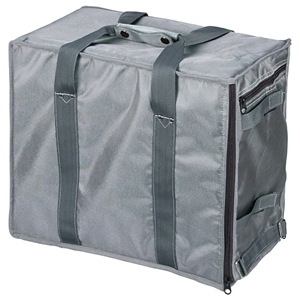 Made with water resistant silver fabric and features wide nylon straps with snap close handles and side flaps with zippers. • 16" x 13" x 9"